Andreas Klostermann demonstrates how to create threaded networking connectivity in Blender. 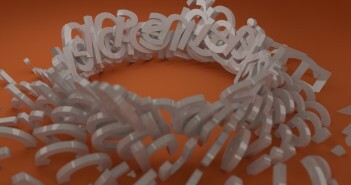 My favorite feature: he's pulling BlenderNation headlines into Blender and shows them in 3D. I wouldn't mind having a fancy version of that as my startup .blend! %^) Anyone? Up to now, network programming in blender has been a nightmare and virtually absent. Python threading did not work reliably inside blender, and so any script running for extended periods of time would block the user interface. Any code running outside the main process would not have full or reliable access to the API. The larger Python community solved this problem using asyncio. In fact, Guido van Rossum himself designed a standard event loop library for concurrency and asynchronous input/output. Codenamed Tulip, this library is already included in the standard library and current distributions of Blender. For more details, please refer to the Github repository. Previous ArticleBlender Sighting (...kinda) on CBS' "The Good Wife"